Assessment season is a stressful time for many students, but it’s also far from relaxing for teachers. Not only do they have to keep their own anxieties under control, but they must also find ways to prevent their students from panicking. How do they do it? How do you help your students with their revision? Students at Stephen Perse Foundation, UK, can fill in any gaps in their own notes from the school’s specialized iTunes U library. Here, they can find videos made by staff explaining key concepts and how to approach certain questions and iTunes U’s interface allows the information to be presented clearly and logically. A robust revision timetable is a must-have, and teachers can lend a helping hand putting these together. When assisting his class in putting together their own timetables, Martin Griffiths, IB Diploma Programme English Literature Teacher, College Champittet, Switzerland, urges them to include some downtime too. “This encourages them to take ownership of the process and take breaks which will keep learning fresh,” he explains. How do you keep your class calm? Cobourg Collegiate Institute, Canada, runs a Student Wellness Programme, where people from the community talk to students about maintaining a healthy school-life balance. MacKenzie’s school also promotes regular study groups, which not only give students a place where they can review their class materials but also somewhere to interact with their classmates and share their woes. “These gatherings create a support network and reduce the feelings of isolation that can be distressing at all times of the year, but most notably during exams,” says MacKenzie. It doesn’t hurt that hot chocolate with marshmallows is regularly on offer at these sessions either! Meanwhile, Micah Hirokawa, MYP Humanities Teacher (and former DP history teacher), Island Pacific Academy, USA, believes that embracing pressure as a natural part of exam preparation is important for keeping it under control. “The best way I feel to help students deal with exam stress is acknowledging and accepting they are stressed,” he says. How do you help a student whose stress has reached an unhealthy level? While Philip Williams, librarian at Vientiane International School, Laos, would advise anybody worried about a particular student to consult the school counselor as soon as possible. He believes that the school’s library staff have a privileged position for monitoring students’ wellbeing as they see them interacting regularly in the relaxed setting of the library. “I hear many conversations and see their worried faces so I am able to gain a general sense of the mood and wellbeing of students,” says Williams. 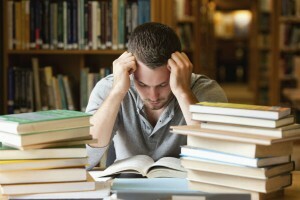 “Fortunately, this year as students came into the library to debrief after exams, there was generally a quiet confidence about their conversations that indicated that although they were under pressure, their demeanour was calm.” Williams adds that he is now looking into ways to encourage teaching staff into the library more often so they too can benefit from this insight into their students’ stress levels. MacKenzie says that the mindfulness techniques and breathing exercises her school counselling service offer throughout the year are especially beneficial for stressed students. But she also emphasizes that it is extremely important to talk to the student’s parents or home support network so that they can get the help they need from their family doctor. What do you do to keep your own nerves in check? The first aid adage about not being able to help a victim if you become a victim yourself is relevant in exam situations, too. Self-care is just as important for teachers as it is for students. “Often, I am so busy that it is easy to give up exercise or stay up late to get things done,” says MacKenzie. 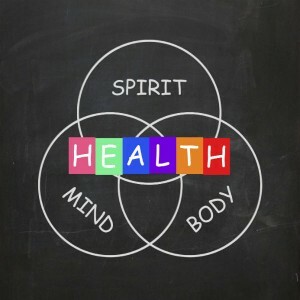 I have adjusted my routine so that I now exercise in the morning, giving me energy to start the day. I also do nighttime yoga which helps to settle my mind so that I can get to sleep instead of thinking about all of the things that I didn’t get done. Hirokawa believes that, much like students’ natural nerves, worn-out teachers around exam season are almost inevitable. However, clever educators can use these emotions to their advantage. I think it is important for students to know that you, as their teacher, are human. Being stressed can show that you’re genuinely invested in their success.